Johann Friedrich Wilhelm Kakoschke, or Jack, as he was later known, was born on the 4th of September 1851 in Eastern Europe, in what was then the Kingdom of Prussia. His birthplace was the hamlet of Rädnitz, a settlement on the north bank of the Oder River, a few miles east of the large town of Crossen. He was the second son of Johann Gottfried Georg Kakoschke and Johanne Dorothea (nee Redlich). Regrettably, not too much is known about the family in “The Old Country”. 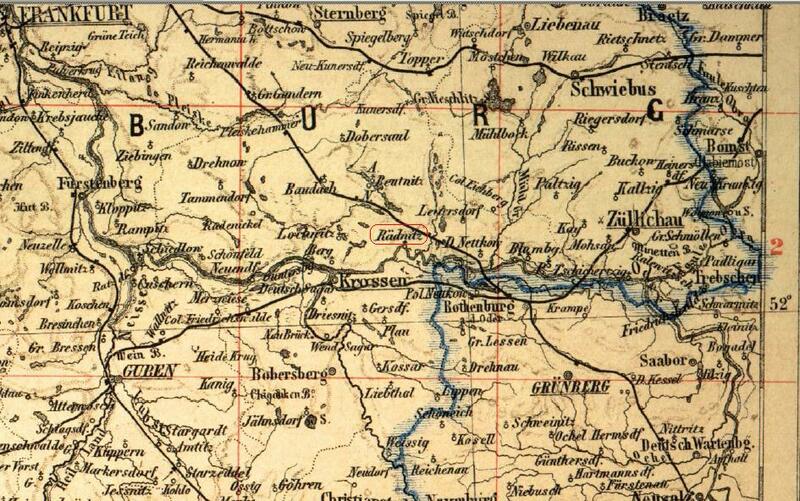 It is known that Johann senior was a farmer and that he was born on the 4th of August 1817 near the town of Groß Blumberg, some 14 kms to the east of Rädnitz. His wife Johanne Redlich (Jack’s mother) was born on the 27th of March 1823 in the village of Briese, which is 17 kms east of Rädnitz. The family were Lutherans and were probably of an ethnic group known in Germany as Sorbs and in Australia as Wends. 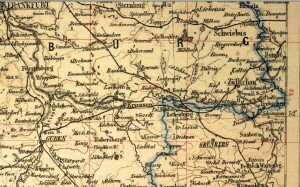 The region around Rädnitz has been a part of several different countries over the centuries. 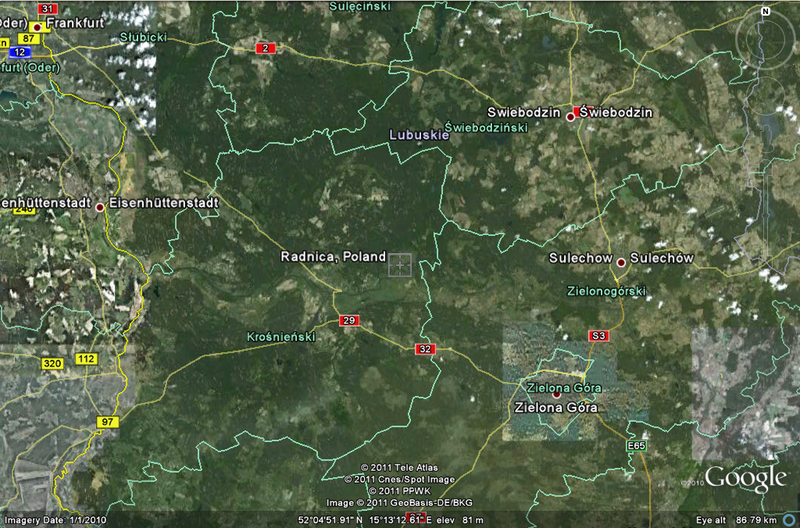 Nowadays it is part of Poland, roughly 35 kms to the east of the German/Polish border. 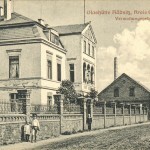 Rädnitz is now known as Radnica, Groß Blumberg is called Brody, Briese is Brzezie and Crossen (an der Oder) is Krosno Odrzańskie. 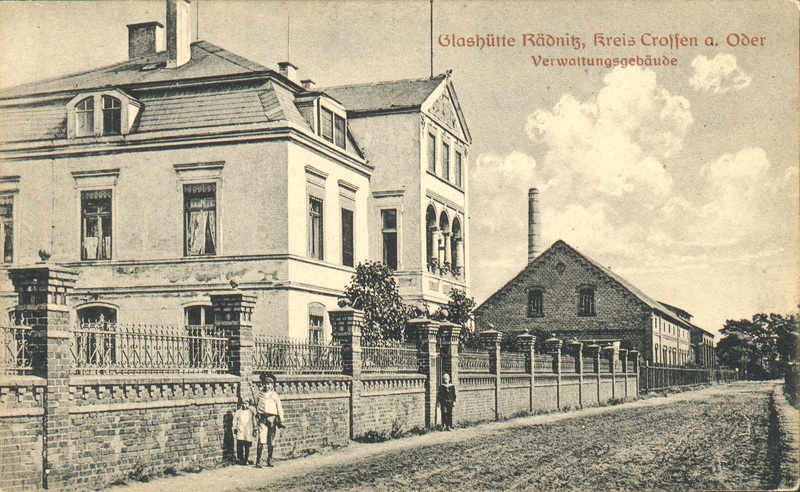 To give an idea of the size of the town of Rädnitz, in 1880 the population was 841 inhabitants living in 115 houses. It was part of the Standesamt (registry office) Kahmen in the Kirchspiel (Parish) of Rädnitz. 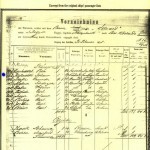 Jack’s father died at Groß Blumberg on March 6th, 1876 at the age of 59 years. Less than two years later Jack emigrated to Australia. His mother passed away at Groß Blumberg on the 15th of February 1897, a few days shy of her 74th birthday. 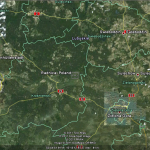 No doubt some of the farmland depicted in the map was worked by Jack and his ancestors. The land may well have belonged to the family for quite some years. 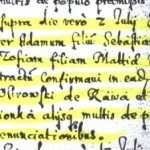 Although several attempts to find any written records of Johann senior and his family, in both German or Polish archives, have thus far proved almost fruitless, it is known that a Michel Kakoschky was living in Groß Blumberg in 1718, when King Friedrich Wilhelm I had a census taken. Coincidentally, there was also a Michel Redlich living in Groß Blumberg in 1718. There’s a possibility they were ancestors. Genetic tests also reveal that the haplogroup of the paternal Kakoschke lineage is R1a1a, meaning that around 12,000 years ago the paternal ancestor probably lived near the Black Sea. 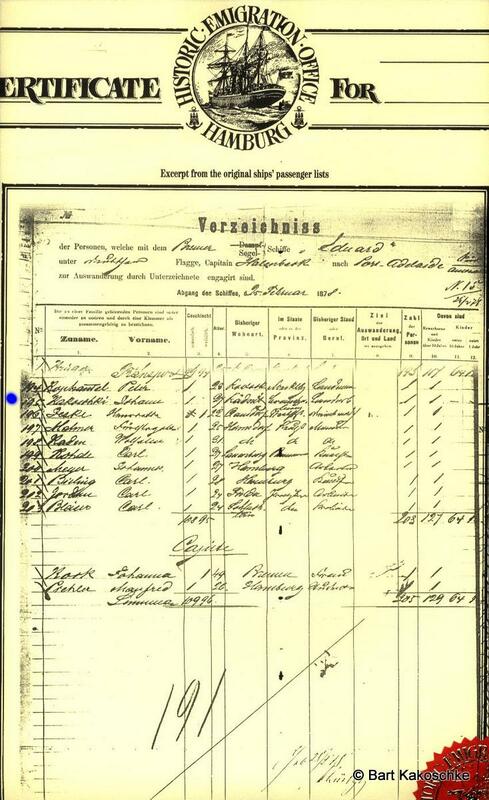 Back to slightly more recent times, and just about the only official family record found so far in German Archives – that of Jack’s departure from Hamburg on the 25th of February 1878. It’s worthy of note that the clerk at the emigration office spelled his surname as Kakoschki. The record is quite brief, but does also give his age as being 27, his place of origin Rädnitz, Crossen Oder and occupation of Landarbeiter (literally “Land worker” i.e. Farmer).